Dr Skinner has been practicing for over 30 years. Young children he treated in his early years now bring their children in for dental care. The major difference is that children today can expect to reach adult life with an intact dentition free of decay and gum disease. Education and an early introduction to dental care ensure that visits to the dental surgery are a happy experience. Having healthy teeth for life is achievable for everyone, by having a balance between good diet, good home oral hygiene and regular professional care. More specifically this involves two comprehensive oral examinations a year. Consisting of carefully looking around your mouth, x-rays, and specialised tests as appropriate. Usually, your teeth will require scaling and cleaning twice a year. We are all busy planning for our financial stability when we retire. It is now becoming apparent that it is wise to also plan for our dental retirement. In our late forties and fifties most of the work done in our mouths has been there for twenty to thirty years and is at the end of its useful life. Also, materials and techniques available today are superior in quality and appearance. Many people in their fifties, sixties and even seventies have poor fitting and worn out gold crowns often with secondary caries and periodontal disease lurking around the margins of these crowns. These can be considered as time bombs that will cause a dental crisis/disaster when the patient is no longer working and in a position to restore the mouth. It is very cost effective to assess the mouth and plan for a level of dental fitness that will predictably carry you through retirement in good dental health. Seniors Card holders receive a 10% Discount on all General Dental Services. When the pulp in a tooth is irreparably damaged (i.e., the nerve dies) the tooth can usually be saved with root canal therapy. We are well equipped with an endodontic microscope and years of practical experience backed up by continuing education courses in endodontics. Tooth whitening is very popular and is achievable in a number of ways. In chair Whitening Systems are great for a quick result, which can whiten your teeth between 4 to 8 shades. At Dentist on Collins we recommend PHILIPS ZOOM! Another popular method which produces pleasing results is the bleach tray method. Although it is a slower process it does allow you greater control of how much lighter you want to go. The other advantage is once you have made the initial investment of getting custom fitted whitening trays and professional whitening gel, you have all you need for a quick top up at home. As a special offer to our patients, we will give you a free tube of whitening gel at each check-up so that you are able to maintain your smile. Individual results do vary and maintenance usually needs to be repeated on an annual basis to maintain optimal results. Bleaching toothpastes do help maintain a whiter looking smile but results are minimal. We recommend Colgate Optic White Toothpaste as it’s gentle on your teeth. Minor irregularities, poorly formed teeth (peg laterals) heavily filled front teeth, worn down front teeth, chipped front teeth can all be restored back to proper form function and also most important appearance. This is often referred to as cosmetic dentistry but all dentistry is both cosmetic and functional in nature. Crowns are used when too much tooth structure has been lost and the tooth itself needs reinforcement (protection) to restore form, function and appearance. A bridge is several crowns joined together to replace a missing tooth where the teeth adjacent to the space would benefit by the protection of crowns. Again the operating microscope enables a very high quality of crown preparation to be possible. Dr. Skinner brings to his work a quality of not only a dentist but that of a craftsman due to his interest and training in machining of metal parts. Where a tooth has been lost and the adjacent teeth are intact the method of choice to replace the tooth is an osseo-integrated implant. This procedure is now routine and is considered a long term predictable treatment option. Oral rehabilitation describes the comprehensive restoration of the whole mouth. It usually entails endodontics, crowns, bridges, implants or a combination of all four. Such work is undertaken after careful planning and analysis of the masticatory system. Work of this nature and complexity may requires periodontal treatment beforehand. Historically silver mercury amalgam fillings have served the restorative needs of the dental profession for over 150 years. There are many theories as to why we should avoid mercury for restorations. A valid criticism is the black appearance of this material. Today tooth coloured composite resin filling materials are a suitable alternative for small fillings. Dentist on Collins has been amalgam free for over 20 years. For the removal of amalgam, we use rubber dam so that you do not accidentally inhale or ingest amalgam. For those of you with an allergy to latex, latex free rubber dam is available. Both our surgeries have amalgam traps installed and we enlist the services of a professional waste disposal company for safe mercury disposal. 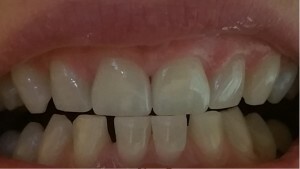 The technique for placing composite resin fillings is exacting. The method must be followed meticulously to ensure a restoration that looks good, lasts and does not leave a sensitive tooth. For larger fillings where the width of the filling is over a third the width of the tooth and/or cusps have been lost the restoration of choice is a crown. Each individual’s needs vary and are best discussed at a consultation appointment. We try to keep a time available each day for dental emergencies. After hours emergency treatment is available but in keeping with current requirements, we require a dentist’s assistant when working. This makes after hours treatment costly. We suggest that you call us in the morning when you have a toothache rather than waiting until the evening when you are not able to sleep because of it. Invariably we find that people have been putting up with pain for several days before calling us. Traumatic sports injuries are best handled at the nearest hospital emergency department but advice is only a phone call away. Gingivitis – a bacterial infection confined to the gums. It is characterised by redness, inflammation, and bleeding of the gums. It results in reversible damage to the gums. Periodontitis – an inflammatory disease of the gums and supporting structures caused by bacterial infection that results in some permanent destruction of the bone and periodontal ligament.